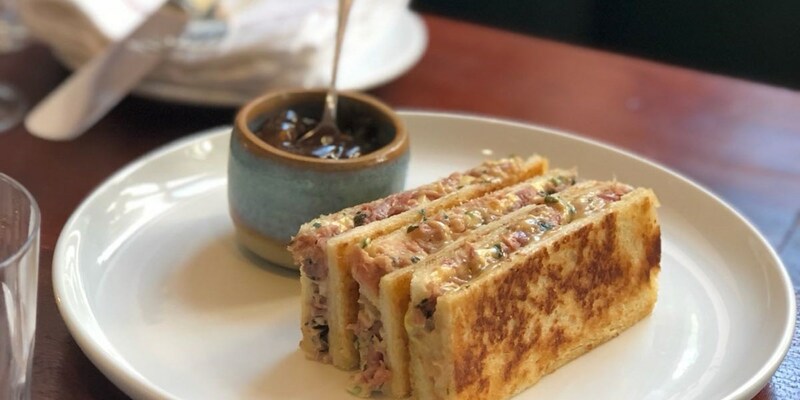 It might have made headlines for its chips, but there’s much more to the menu at Cora Pearl – especially if you have fond memories of devilled eggs, cheese toasties and trifle. Tom Shingler talks to chef-director George Barson to see how this focus on nostalgic dishes came about. Hosting a dinner party in Britain during the ‘70s and ‘80s was, as I’m sure you know, a very different affair than it is today. Vol-au-vents, prawn cocktails, chicken Kievs, arctic rolls – these are the dishes that encompassed the height of sophistication at the dining table. But these once esteemed recipes are now rarely seen and regarded as incredibly passé, as cooks turn to more exotic cuisines and lighter or fresher recipes instead. It’s a shame, really. After all, these dishes were popular for a reason: they tasted damn good, especially when prepared with quality ingredients, care and attention. 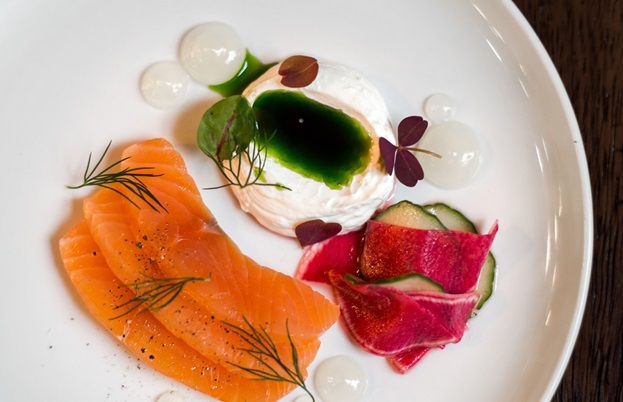 That’s something chef George Barson knows all too well, which is why he’s reinvigorating the dinner party dishes of yesteryear at his restaurant Cora Pearl, in Covent Garden. 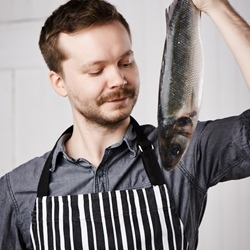 George worked at the likes of Viajante, Dinner by Heston and Jamie Oliver’s Fifteen before joining Kitty Fisher’s, which had already gained a cult following thanks to its incredible menu based around a wood-fired grill. 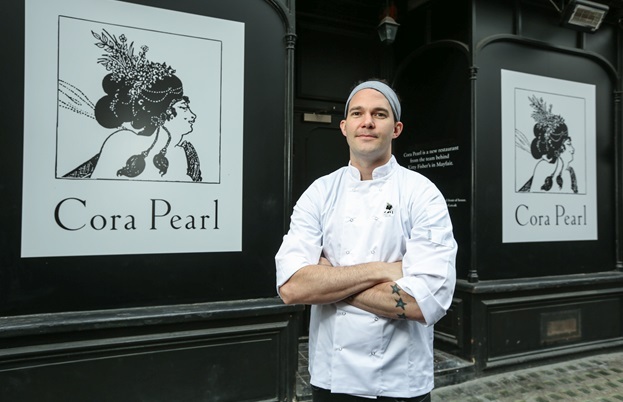 In June 2018 he helped to open Cora Pearl – Kitty Fisher’s sister restaurant, which was an instant hit thanks in part to critics raving about its chips. 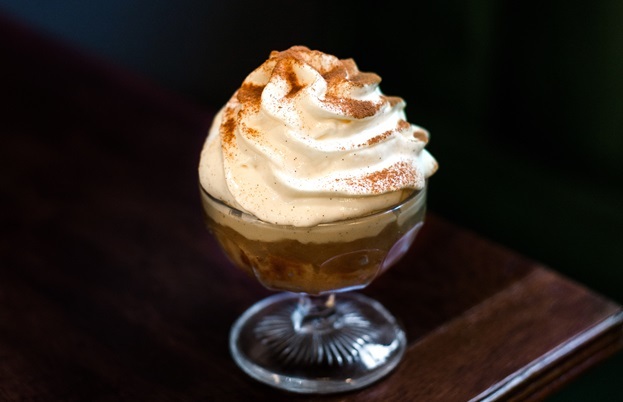 But there are plenty of amazing dishes to choose from on the rest of the menu, particularly if you’re after indulgent, comforting, nostalgia-laced eating. This tongue-in-cheek approach has inadvertently given Cora Pearl its identity. 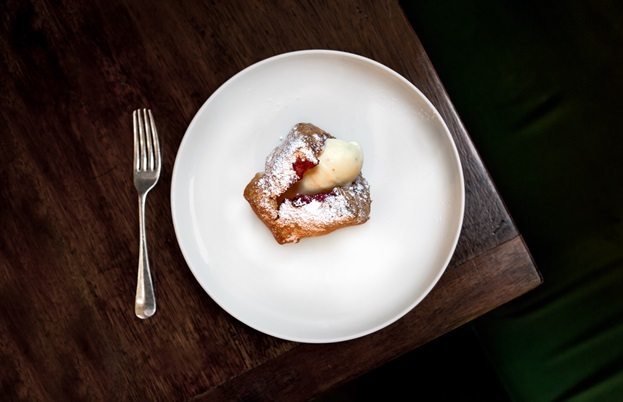 Rather than following contemporary trends, George and his team are spearheading a revival in some of the classic dishes of yesteryear. You can order a devilled egg to start, followed by Cora’s signature take on favourites like prawn cocktail, Caesar salad and trifle. 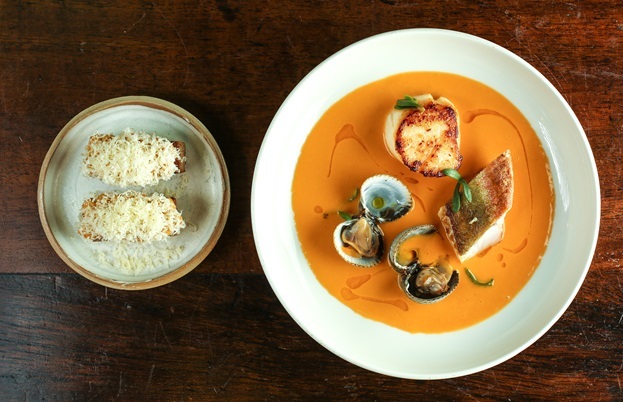 There are unashamedly classical French dishes like the veal fillet with celeriac and Bordelaise sauce (complete with little cubes of wobbly bone marrow), and a fish stew with croutons. These are crowd-pleasing dishes that everyone remembers fondly from dinner parties of old, but for whatever reason fell out of fashion and became a rare find when eating out. In the seven months since Cora Pearl opened, it’s gained a cult following many restaurants would kill for. There’s an undeniable elegance to everything it does, from the plush interiors to the luxurious cocktail list, and the menu manages to combine nostalgia, comfort, flavour and playfulness all at once. 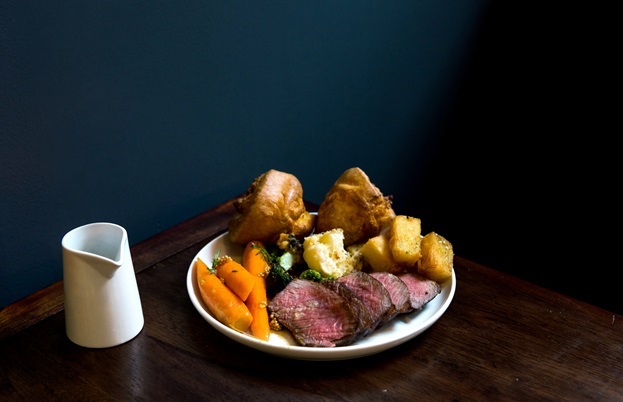 Whether you’re in the area to see a show and just want a drink and a toastie beforehand or are after a blow-out meal to remember, it should be high up on your list. After all, who doesn’t like a devilled egg?